Hello again my lovely readers! I hope you are having or have had a fantasic day! Today, I wish to share with you my hair care routine. I am currently living in Hong Kong, which a lot of you may know is quite a polluted city – my hair is always left feeling oily and weighed down after a day out. This means I have to wash my hair every day. I know it’s not very good for your scalp as it will strip your hair of essential oils and sebum. At one point in my teens I would wash my hair 4 times a day due to swim training!! My hair was left feeling extremely dry and straw-like, up to a point where no treatments could cure. Therefore, I do try my best to wash it every other day. Being an Asian, I definitely prefer Asian haircare products to European products. It suits my hair type more and I love the smell of it! Other than using a day to day Shampoo and Conditioner, I think it is really important to also use a clarifying shampoo once a week to get rid of all the stuff that builds up in your hair. If you are a regular user of hairsprays, mousses, gels, and my personal favourite: texturising spray, normal shampoo just isn’t enough to get all the gunk out of your hair. A claryfying shampoo can help you can get rid of that ”heavy” feeling by removing all the deposits, allowing your hair to start fresh and giving your roots more bounce. If I have been under the sun a lot or have been playing lots of sport over the weekend I enjoy giving my hair a good treatment with a hair mask. 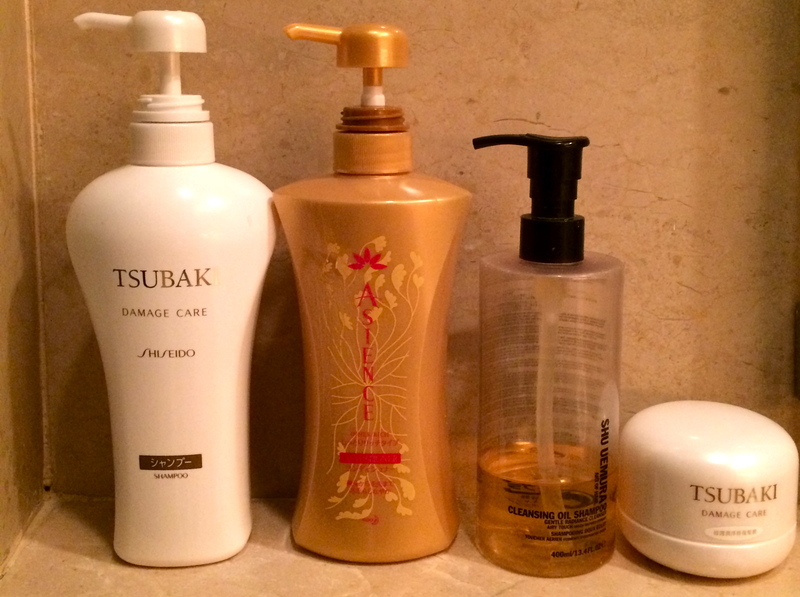 I really like the tsubaki hair mask because it leaves my hair smelling so divine and feeling extremely soft & silky. Once my hair is towel dried, I will spray 7-8 spritzes of the Aussie Leave-in Conditioner all throughout my hair (avoiding the top of my head), concentrating on the mid section and ends. I will then take my large Tangle Teezer and comb through my hair to distribute the product evenly and get rid of any tangles. The tangle teezer works super well on wet hair and is amazing at removing knots without tugging and pulling at your hair which again causes breakage. Once all the knots are out, I will then take 3-4 pumps of The Essential Damage-Care Treatment Milk onto my palm and distribute it evenly from the midsection onwards, focusing on the ends. I like this product a lot, as it is very inexpensive and works like a gem! It soaks into my hair and really conditions it. Once the product is soaked in, it does not weigh my hair down. Lastly, I would gather 3-4 pumps of The Argan Oil Hair Treatment onto the ends of my hair (which is the driest) and leave it to work its magic! Next, I like to flip my head upside down and blow dry it with cold air (less damaging!!) I find that this creates more volume and body to my hair, especially the roots. I also enjoy flipping my hair from side to side as I am blow-drying to gain that extra volume! I only blow dry it to 60-70% then will leave it to air dry. 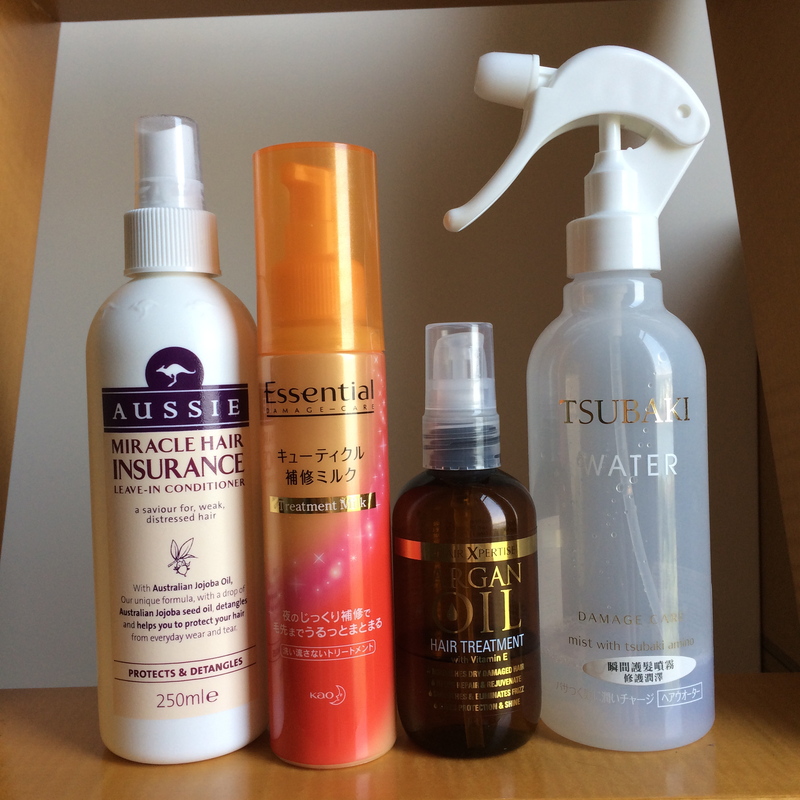 The final product that I want to include in my hair care routine is the Tsubaki Water Mist (I like to refer to it as my ”rejuvinator”)!! This is my absolute favourite product out of everything mentioned above. It is simply miraculous. I discovered this product 2 years ago and have recommend it to countless of friends. I even keep a travel size version in my handbag so I can top my hair up if it is looking dry. When my hair is looking a bit coarse and wirey, all I have to do is generously spray this water mist onto my hair and it will immediately be transformed. Not only does it smell amazing, but when the mist dries, my hair feels amazingly soft and looks really healthy! I would really encourage you to try this product. It is super inexpensive and it is widely available in supermarkets and drugstores in Asia! I was in Shanghai over the summer holidays last year working in a fashion company and one of my colleagues told me about the Mason Pearson brushes. I became very intrigued as I am always interested in products that can improve the condition of my hair. I did some research and decided to get it to see what the hype was all about. The Mason Pearson brush was quite pricey (£60/ HKD750) but I definitely think it was worth the investment. I have been using it for over half a year now and I am so happy with the results. This brush has made my hair softer, shiner and stronger. The brush is made out of boar bristles – which is soft and gentle on the scalp. I simply love it!!! 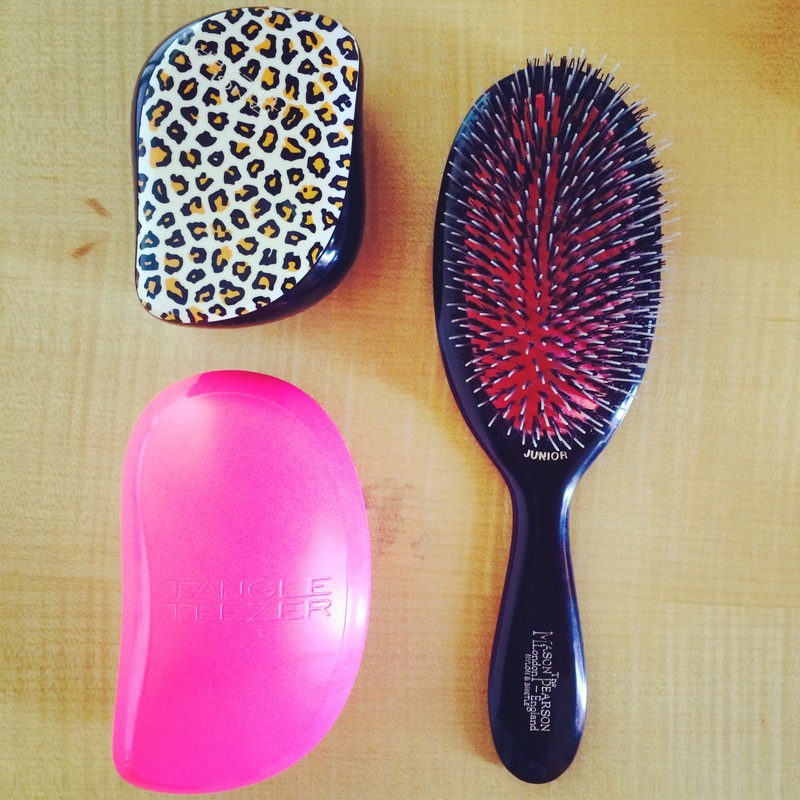 I find that this brush works extremely well on dry hair, whereas the tangle teezer is better for damp hair. Previous Post Meet the Tweedlets!